Say what you will about the in-game graphics (which look pretty good for a phone game! 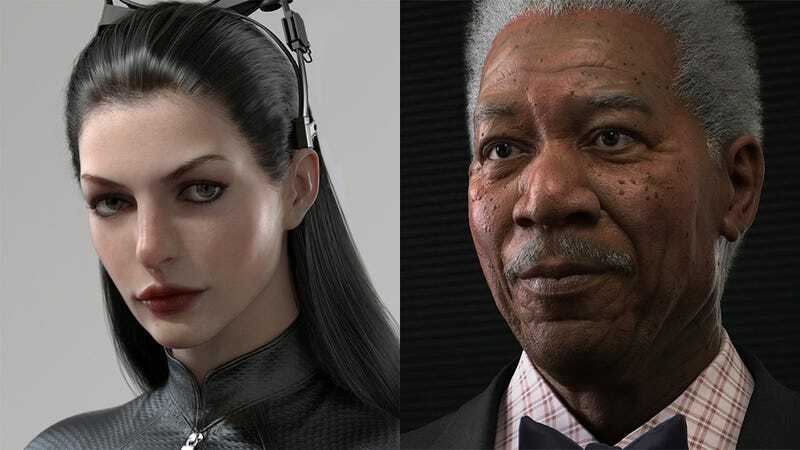 ), this 3D character art for the Dark Knight Rises game is incredible. The work of artists Uri So and Shenggang Dong, both from Redsteam (another of whose artists we've looked at Kotaku previously), they're nestled right at the depths of the uncanny valley.